For this body of work I bring together strand upon strand of fine glass cane which I then work with in many, many layers, turning them into a deep and complex bowls. The final form of the piece is of something familiar, found in nature, yet the use of glass adds the dimension of surprise for this container for new life. 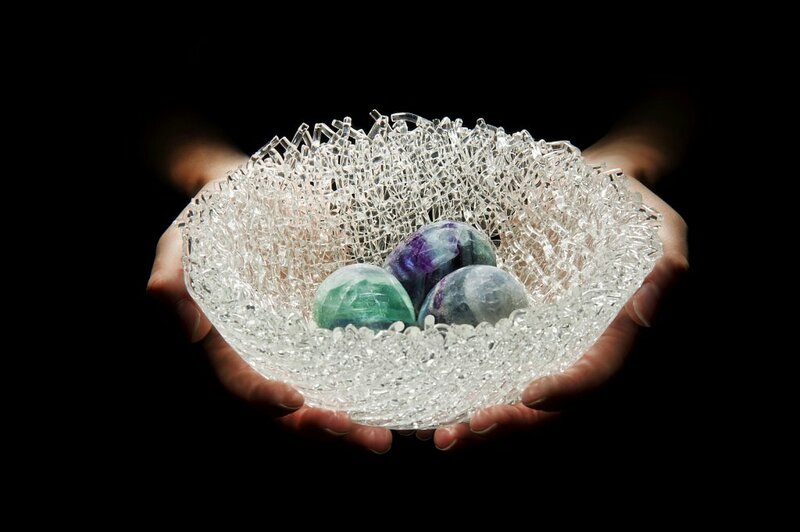 The fragile vessel nestling eggs carved from enduring crystal.